لقد أظهرت نتائج تحليل التربة في معظم أنحاء المملكة بأن نسبة أملاح الكلور هي أضعاف نسبة أملاح الكبريتات وأحياناً تحتوي التربة والمياه الجوفية على نسبة عالية من الأملاح (السبخة - ومع ذلك يصر الجميع على صب إسمنت مقاوم للكبريتات في جميع أنواع التربة التي تحتوي على الكلور وليس الكبريتات . وكذلك جهل المالك بقيمة الإشراف الهندسي الكامل الذي يقوم به 5 % من السعوديين فقط حسب أخر إحصائية ، مما يفاقم المشاكل الهندسية بين مصنع الخرسانة والأمانة والمالك والمقاول. 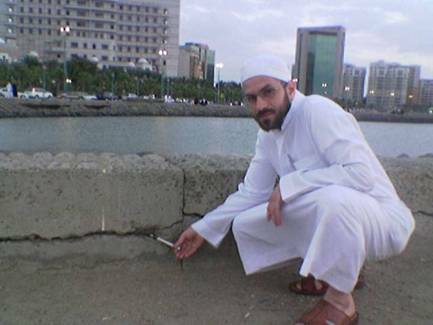 The following photos show the effect of using cement (Type v) in chloride and marine environment in Saudi Arabia. 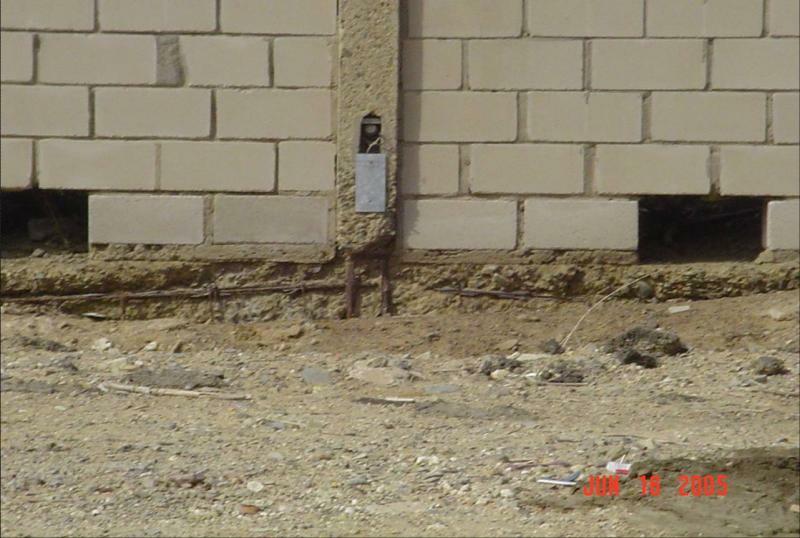 Moreover the using of low quality concrete with low cover had caused the fast corrosion and deterioration of reinforced concrete structures in Saudi Arabia and the Arabian Gulf Estates. The following photos show the disadvantage of using cement (Type v = SRPC) in chloride and marine environment in Saudi Arabia. 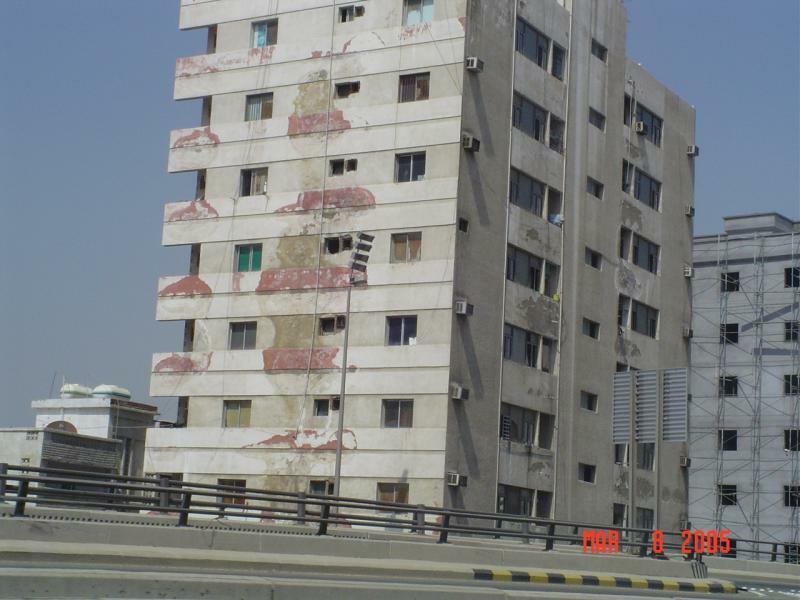 The macro-cell corrosion was increased due to the wrong specifications in Saudi Arabia that allow the use of two different cement types with different C3A and different chemical and physical properties in the same element in the building. The steel bar embedded in OPC cement will act as cathode and the steel bar embedded in SRPC cement will act as anode. N.B. No corrosion in the part of steel bar that embedded in OPC cement, whilst sever corrosion can be seen at the other part of steel bar embedded in SRPC cement. 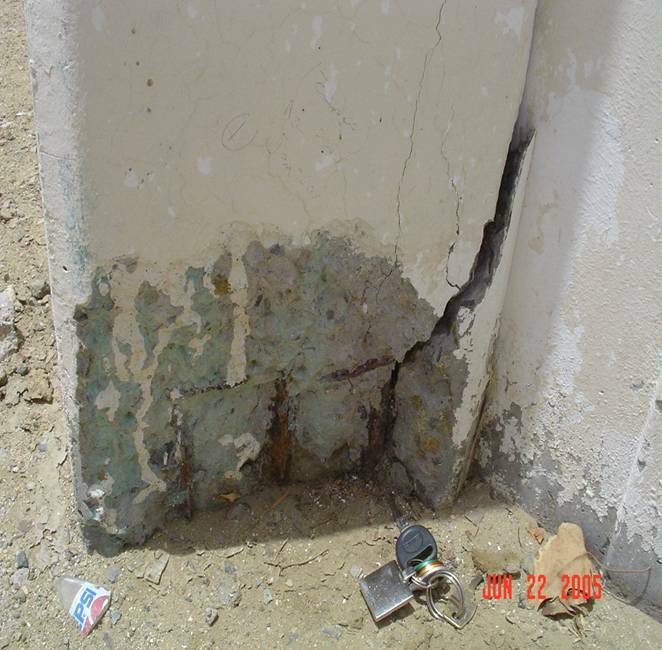 Moreover the using of low quality concrete and unsuitable type of cement with low cover had caused the fast corrosion and deterioration of reinforced concrete structures in Saudi Arabia and the Arabian Gulf Estates. 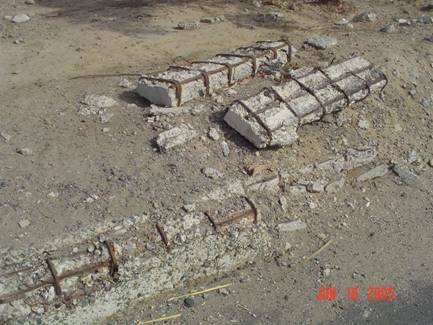 This photo shows the corrosion of steel bars due to the use cement (Type v = SRPC) in chloride and marine environment at Royal Commission, Yanbu, Saudi Arabia. This photo shows the corrosion of steel bars due to the use cement (Type v = SRPC) in chloride and marine environment at industrial city, Jeddah, Saudi Arabia. This photo shows the sever corrosion of steel bars due to the use cement (Type v = SRPC) in chloride and marine environment at the base of all columns at Villas of Eskan, South Jeddah, Saudi Arabia. 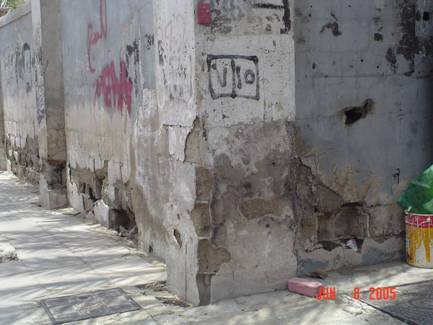 This photo shows the sever corrosion of steel bars due to the use cement (Type v = SRPC) in chloride and marine environment at the base of all columns at Abu Obeda middle school, Hay Alnaseem , Jeddah, Saudi Arabia. 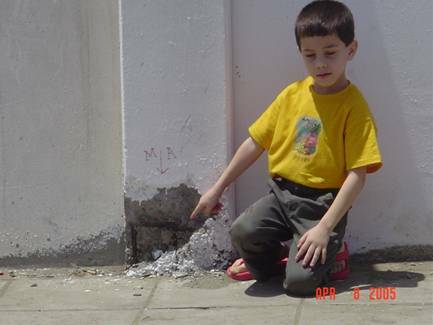 My son Taj Alhaj (7 years old) pointing to the deteriorated reinforced concrete at the base of the column. 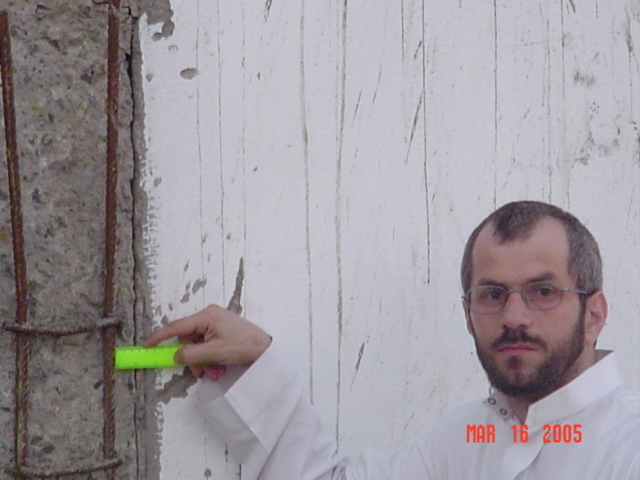 This photo shows the sever corrosion of steel bars due to the use cement (Type v = SRPC) in chloride and marine environment at the base of all columns and ground beams at the wall of the minstry of agricultue and water resources, Hay Al-Safa, Jeddah, Saudi Arabia. N.B. No corrosion at the above part of steel bar that embedded in OPC cement, whilst sever corrosion can be seen at the other part of steel bar embedded in SRPC cement. 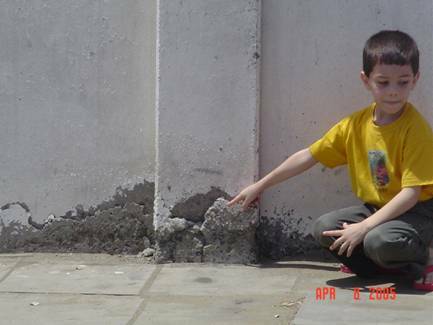 My son Taj Alhaj (7 years old) pointing to the exposed part of deteriorated reinforced concrete at the base of the column. 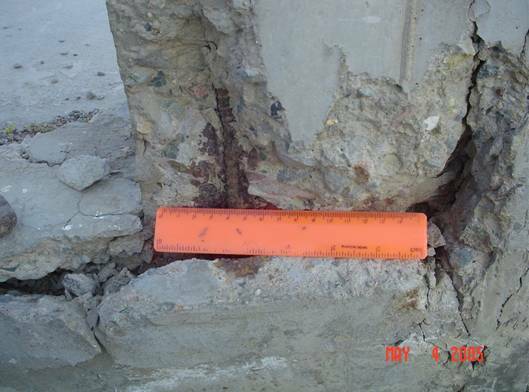 This photo shows the sever corrosion of steel bars due to the use cement (Type v = SRPC) in chloride and marine environment at the base of all columns and ground beams at the wall, Madina Road, Hay Al-Salama, Jeddah, Saudi Arabia. 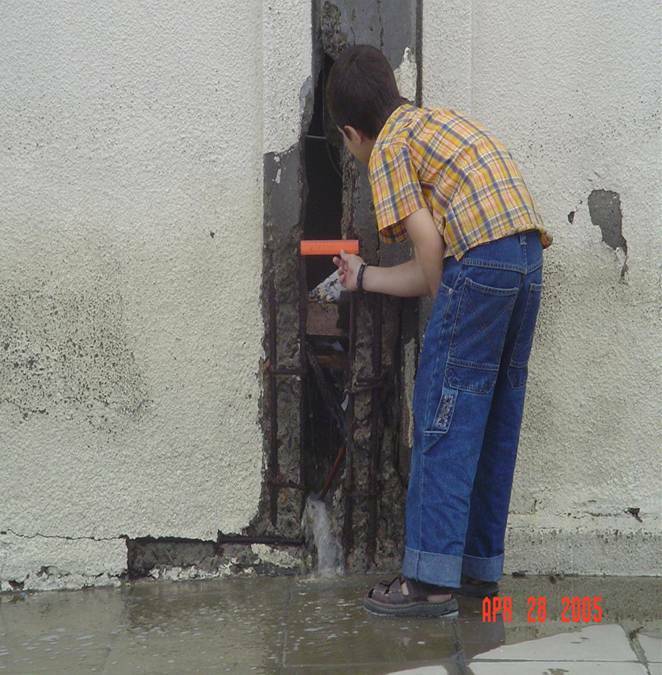 My son Isa Alhaj (9 years old) pointing to the exposed part of deteriorated reinforced concrete at the column. Sever corrosion can be seen at the other part of steel bar embedded in SRPC cement. 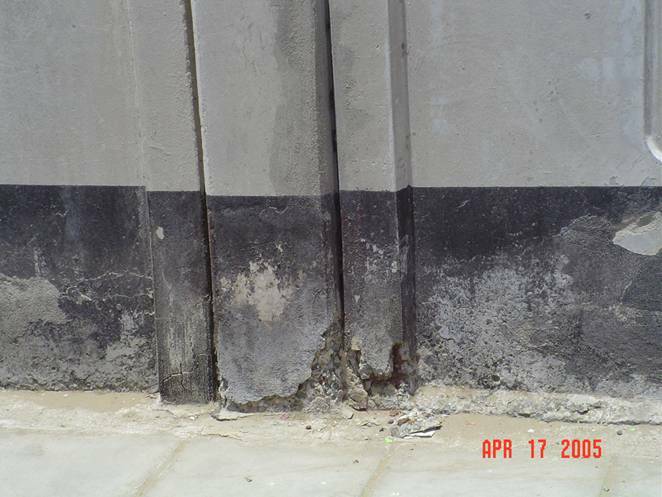 This photo shows the sever corrosion of steel bars due to the use cement (Type v = SRPC) in chloride and marine environment at the base of all columns and ground beams at the wall of food company, Hay Al-Safa, Jeddah, Saudi Arabia. 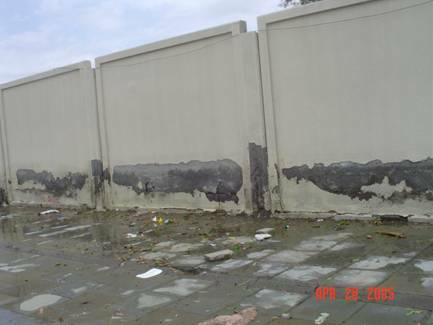 The use of the asphalat coating had no protection for chloride corrosion. N.B. No corrosion at the above part of steel bar that embedded in OPC cement, whilst sever corrosion can be seen at the other part of steel bar embedded in SRPC cement even with asphalat coating. 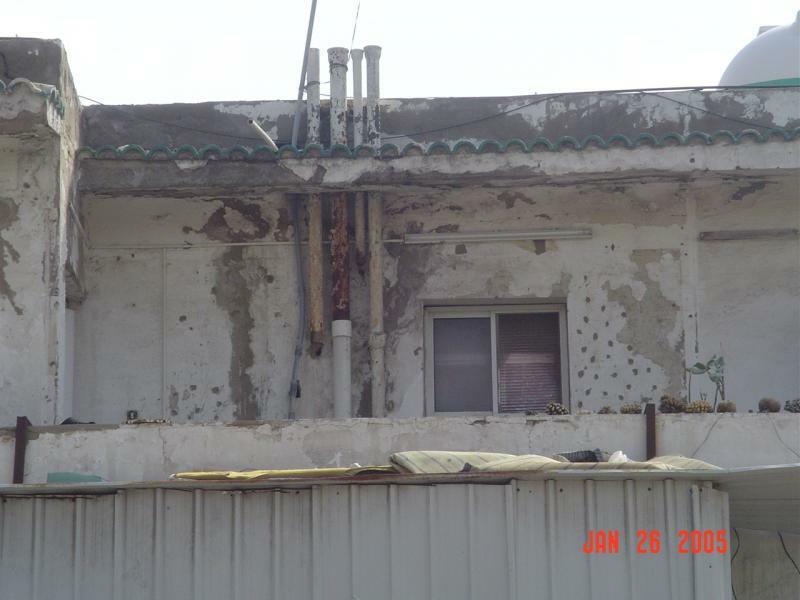 This photo shows the corrosion of steel bars at exposed column due to the low guilty of concrete and due to no concrete cover for steel bars in chloride and marine environment at private building, Hay Al-Murjan, North Jeddah, Saudi Arabia. This photo shows the sever corrosion of steel bars due to the use cement (Type v = SRPC) in chloride and marine environment at industrial city, Jeddah, Saudi Arabia. 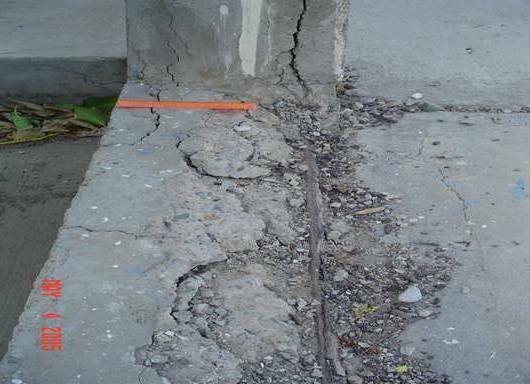 This photo shows the sever corrosion of steel bars due to the use cement (Type v = SRPC) in chloride and marine environment in reinforced concrete borders at Alandalus Street , Jeddah, Saudi Arabia. The other cause was using saline water from Amanat Jeddah with T.D.S. 2000 ppm in plants irrigation. N.B. The max. T.D.S. for use near reinforced concrete must not more than 500 ppm. 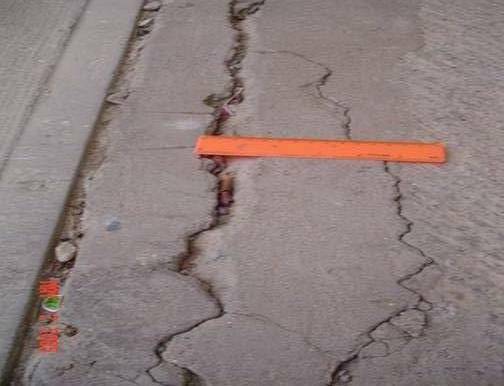 This photo shows the sever corrosion of steel bars due to the use cement (Type v = SRPC) in chloride and marine environment in reinforced concrte borders at Alndalus Street , Jeddah, Saudi Arabia. The other cause was using saline water from Amanat Jeddah with T.D.S. 2000 ppm in plants irragtion. N.B. The max. T.D.S. for use near reinforced concrte must not more than 500 ppm. 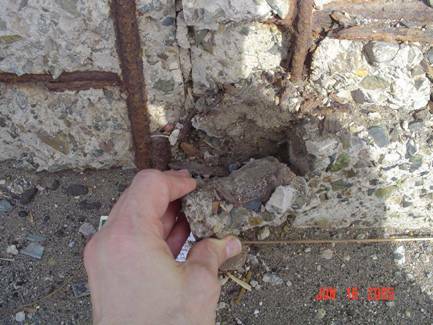 This photo shows the sever corrosion of steel bars due to the use cement (Type v = SRPC) in chloride and marine environment at the base of all ground beams at the wall, Hay Alkaldea, Alkorneash beach, Jeddah, Saudi Arabia. 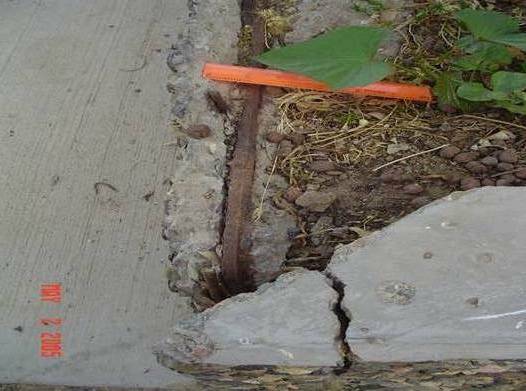 The corroded steel bars had increased in volume causing more stress to the concrete and leads to the spalling of concrete cover. 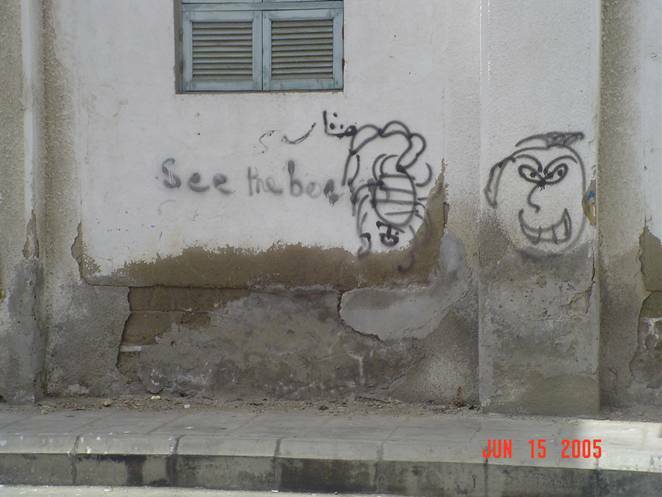 don`t resist acids and salts. الصور التالية توضح مدى التدهور الكبير للخرسانة الغير مسلحة والبلوك والدهانات في المباني السعودية المعروفة ببيئتها شديدة العدوانية ذات الملوحة والرطوبة العالية والتي يجب إستخدام مواد بناء مناسبة وذات جودة عالية تقاوم هذه البيئات ، هذا لاحظه الخبيرين البريطانين تيد ووكر اللذان قاما بجولة منذ عدة سنوات على المباني في المنطقة الشرقية بالسعودية ومدن الخليج العربي ثم كتبا تقريراً مفصلاً عن أسباب التأكل وتسارعه في الخليج العربي وأن نسبة التدهور لدينا أكثر من 3 أضعاف تدهور الخرسانة في بلاد الغرب .